An ultra secure bespoke website solution! 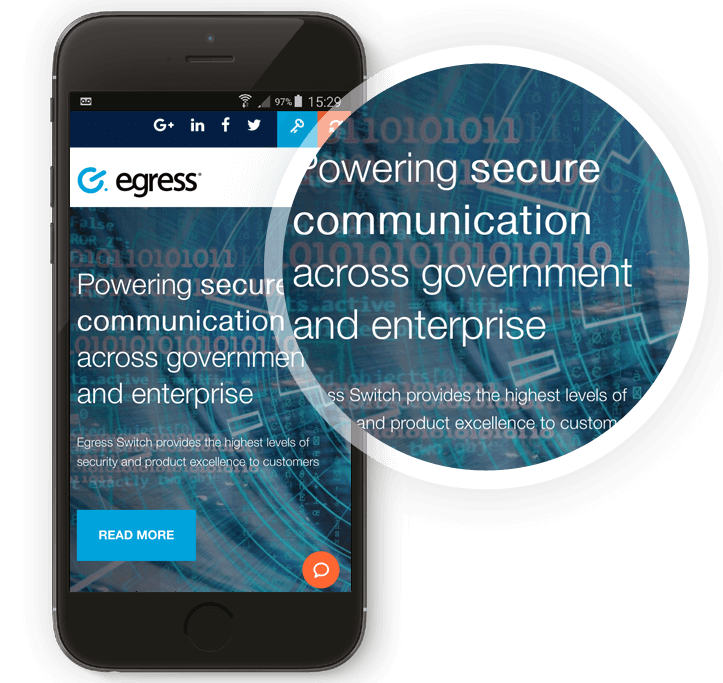 After the success of the Egress SEO campaign, along with other digital marketing activity traffic to the website had grown significantly so it was key for the website to represent Egress as a global leader in the data security industry and to convert visitors into users of the software platform. To design and build a new website with global appeal. To find innovative ways to demonstrate expertise. To enhance call to actions. To deliver a user friendly, responsive website. To find the balance between appealing to both small and enterprise companies. The website was built on our bespoke platform ‘Scoop’ to provide the utmost protection against any security risks. Extensive quarterly penetration testing identifies any vulnerabilities to ensure we are serving an ultra secure website solution. 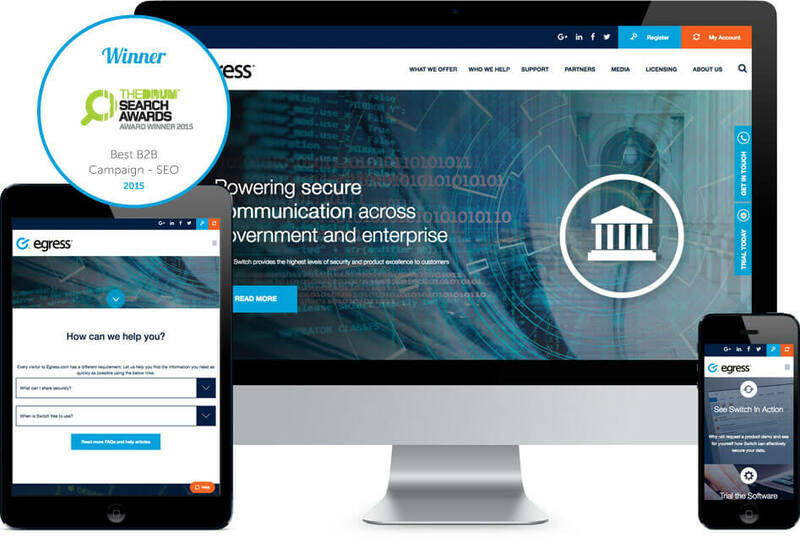 The Egress website is definitely one to be proud of and ticks all the necessary boxes for a company operating in an industry with the highest expectations when it comes to security standards. 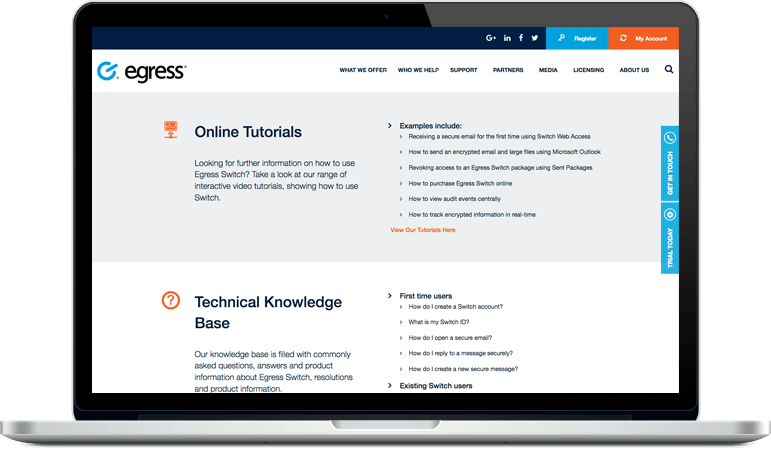 Egress’ content needed to appeal to both technical and non-technical audiences, a requirement which was not fulfilled by their previous website. We needed to come up with a solution that catered for both audiences without compromising the integrity and performance of the website. We developed a function allowing the user to toggle from basic to more in depth technical content with one click of a button. Not only was this perfect for users but also a great solution for SEO. to ensure everything was easily accessible. A simple, clear, navigation included a mega menu, making it easy to dive deep into the website with minimal clicks. content functionality was also made available throughout all pages of the site. Meaning Egress could assign related content to any page to aid the user in their quest for information and assist with upselling opportunities. Microsoft Dynamics was integrated so that online enquiries went straight into their CRM. This allowed more time for their sales team to focus their efforts elsewhere and not on routine admin. In addition, IP detection was enforced to direct US visitors to a different version of the site with content tailored accordingly. A new and improved form builder allowed administrators complete control over all forms on the website, their fields and where they displayed.